Learn to help increase your dog’s chance of survival and/or prevent their medical emergencies from getting worse by knowing what to do when emergencies happen during outdoor activities. 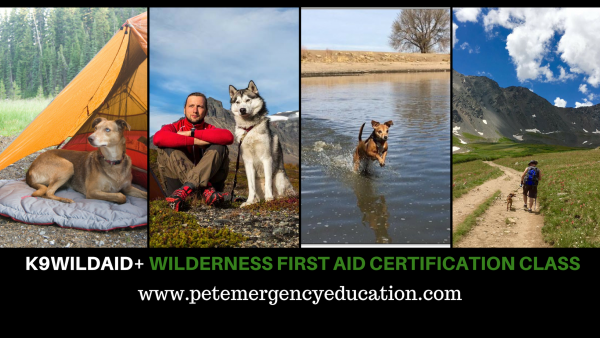 This is a comprehensive detailed program that focuses on wilderness first aid and the management of medical emergencies that can happen to your dog in remote areas, trail hiking, camping, water activities and more. Topics to be discussed include: how to perform emergency triage on your dog, safely transport injured animals to veterinary care from remote locations, how to obtain vital signs, determine normal vs abnormal readings, materials in a canine wilderness first aid kit and what each is used for, how to manage medical emergencies such as wounds, fractures, heat stroke, snake bites, burns, choking and more. 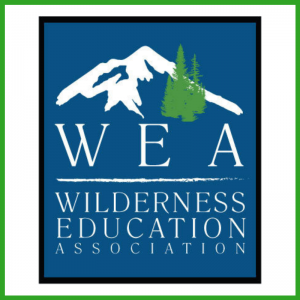 This class focuses on wilderness first aid which is the management of medical emergencies in remote areas, on the trail hiking, camping, participating in water activity and more. Our program is based on the most current method of animal CPR which was developed by emergency veterinarians. This class is designed to teach the active dog owner, outdoorsman and animal professional how to administer emergency CPR and first aid to a dog until veterinary care is ascertained. How to manage and provide first aid for many common medical emergencies experienced during outdoor activities such as heatstroke, wounds, wild animal encounters, snake bites, poisoning, burns, choking, CPR and more. (please note: although this class teaches the basics of canine CPR, this is a wilderness first aid class only and does not certify the participant in pet CPR. For Pet CPR certification please take our PetCPR+ Certification course. A copy of our 88+ page full color Wilderness First Aid for Dogs Reference Guide E-book (printed books for this text are not available at this time but you may purchase a printed copy of our Canine and Feline CPR and First Aid Reference Guide).